When talking about beer styles and market trends, there is no doubt that during 2018 the hype of the New England IPA with its cloudy appearance, silky texture and a preeminent tropical and fruity character, both in aroma and flavor, is keeping its prominent position. In fact the creativity of the brewers has evolved in such a way that today it is possible to in an Imperial Stout evoke the most mouth-watering and indulgent version of our childhood snacks like in "Omnipollo's Noa Pecan Mud Cake Stout "or other similar Pastry Stouts. But despite this, when looking across the other side of the Atlantic (the best way to see ourselves in a few years) we can see how lots of well-known American breweries have been brewing and incorporating lighter and simple beers into their portfolios. A return to the essence so to say, inspired by classic styles. The rise in popularity of these styles, among them the Pilsner, is a consequence of many factors. Surely one of them is the fatigue many consumers experience when constantly being bombarded by new options, many of them not particularly drinkable due to their high bitterness or high graduation. Because sometimes, even for the most expert beer enthusiast, it is sufficient to appreciate the beauty and the clean nuances of a good Pils and simplify things a little. Moreover there is a widespread belief that it is one of the favorite styles for brewers. There must be a reason for that. 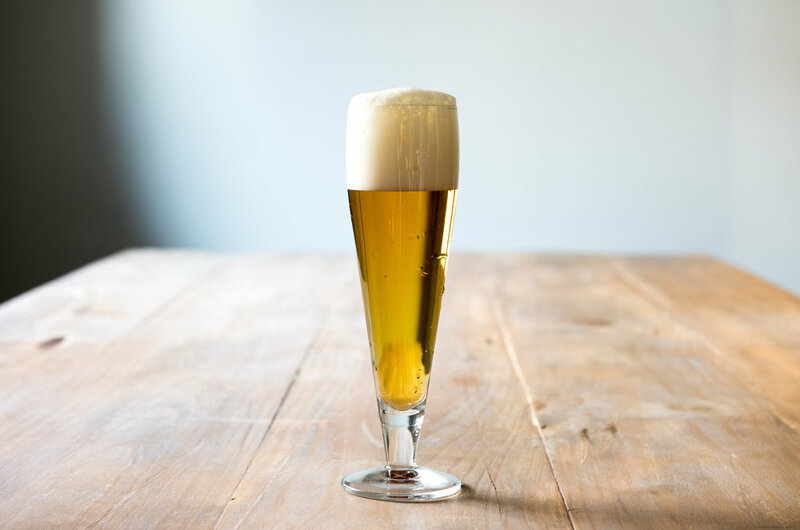 It should be noted that when I refer to a good Pils I am not talking about any of the insipid macro-lagers that invade our bars or establishments, but rather a fresh beer, full of flavor, refreshing, light but far from bland, subtly bitter and free of fruity esters. The resurgence of this type of lager with a Czech origin (Pilsen, Bohemia in 1842), clashes with a preconceived idea established in our minds by large multinationals whose appropriation of the style has caused an association as an enemy of the craft movement. But the truth is that if we look in the right direction, towards traditional Czech (Czech Pilsner) or German (German Pilsner) versions or sub-styles, we can rediscover a historical category capable to satisfy the most demanding palates. Luckily this retro trend has spread to the rest of the world including Spain, where an increasing number of national breweries are daring to explore the lager territory. Just to name a few: Naturepils by Nomada Brewing, Edge Pils by Edge Brewing, Green Pils by Fermun Beers, Pils Parlament by Barna Brew, Horny Pilsner by La Quince Brewery or Pils by Tibidabo Brewing. Each of them with its own particularities, more or less hoppy, but with the same common denominator: low-fermentation beers, drinkable, clean, leaving plenty of space of expression to the ingredients. That said, I want to state that my intention is not to give up to the intense emotions associated with the most recent tropical-juicy hop-bomb from San Diego, nor to the satisfaction of uncorking that complex 75cl Wild Ale, fermented with wild fruits and aged in Chardonnay barrels that I keep in the fridge. Not at all. But simply to remember - and remind myself - that there are times when less is more. And because the beauty of a good Pils consists exactly in that, in its simplicity.